NMArrigo has the largest selection of Cigars on the Islands of Malta and Gozo bar none, both in the retail (here) aspect as well wholesale and distribution. Please see below for a selection of our partners and products that we are able to provide. Smoking a cigar isn’t just an act; it’s a lifestyle. Rock Patel. Where luxury isn’t something you get—it’s something you live. Rocky Patel built his legacy on the principle of potential—the vision that excellence is boundlessly accessible to all of those who are bold enough to reach out for it. And those who do, find themselves here. Indulge in the possibilities. Sun Grown Maduro received #2 in Cigar Aficionado's Top 25 Cigars of the Year. Rocky Patel was inducted into the Cigar Aficionado Hall of Fame. Edge Nicaragua Habano received #7 in Cigar Aficionado's Top 25 Cigars of the Year. Tampa, Florida's celebrated heritage as the Fine Cigar Capital of the World lives on at J.C. Newman Cigar Company. America's oldest family-owned premium cigar makers, and also the last operating cigar factory in Cigar City. With a portfolio of famous brands beloved by cigar lovers the world over, J.C. Newman offer cigars for every taste profile and every budget. From the ultra-premium Diamond Crown and Diamond Crown MAXIMUS to Cuesta-Rey, La Unica, Brick House, El Baton, to our value-priced Quorum and Factory 59's, these brands are instantly recognizable to cigar aficionados everywhere. J.C. Newman Cigar Company’s long history dates back more than a century to 1895, when Julius Caeser Newman rolled his first cigars in the family barn in Cleveland, Ohio. From these humble beginnings as a one-man cigar factory, the company survived and prospered through the Roaring Twenties, the Great Depression, two world wars, the Cuban embargo, excessive taxes, smoking bans and the rapid consolidation of the cigar industry. The company joined the Tampa cigar manufacturing community in 1954 when the founding father, Grandpa J.C. Newman, determined that the company’s future lay in the manufacture of premium cigars. He resolved to relocate to Tampa, which enjoyed a world-class reputation for producing high-quality premium cigars. The move also brought him closer to his primary source of tobacco: Cuba. Interestingly, since the turn of the century, more hand-rolled Clear Havana cigars – cigars made entirely of Cuban tobacco – had been made in Tampa than were made in Cuba and then imported into the United States. Today, a new generation continues the Newman family tradition under brothers Eric Newman, president, and Bobby Newman, executive vice president. Eric’s son, Drew, has also been actively involved in the business from an early age. The business that young J.C. founded more than a century ago is stronger than ever. Diamond Crown is a highly prized cigar as well as a bestselling brand of humidors and cigar accessories. Cuesta-Rey is one of the most popular premium cigars in the world, enjoyed by cigar smokers in 61 countries on six continents. The Brick House launch exceeded all expectations and was rated the top valued premium cigar of 2009 by Cigar Aficionado. Quorum is the world’s most popular hand made cigar sold in bundles. As J.C. Newman Cigar Company proceeds into the 21st century as the longest surviving national cigar manufacturer in the United States, continuing to uphold the family traditions of quality and innovation that have served the company – and customers – so well throughout history. Founded in 1985 by Robert Levin, Ashton Distributors, Inc. is family-owned and operated with headquarters in Philadelphia, Pennsylvania. The Ashton tradition is rooted in the company's unparalleled commitment to quality and consumer satisfaction. Handmade in the Dominican Republic in the legendary Tabacalera A. Fuente factory, Ashton cigars utilize only the finest, most exceptional, aged tobaccos. Every detail, from meticulous wrapper selection to the complex processes of aging and blending, receives the utmost accommodation in the manufacture of each cigar. Ashton has received numerous awards and accolades through the years and is a perennial "Top 5" brand in the U.S. market, as well as an international favourite with distribution in over 60 countries around the world. Following decades of success with the Fuente family, Ashton expanded its portfolio in the early 2000s by partnering with rising cigar-maker, Jose “Pepin” Garcia, to develop two new brands in Nicaragua. Renowned today as two of the fastest-growing cigar brands in the world, La Aroma de Cuba and San Cristobal continue to garner unrivalled critical acclaim and commendation. Partnership with the Garcia family exemplifies Ashton's immense devotion to quality by collaborating with only the world's most prolific cigar manufacturers. In 2004 Robert's son, Sathya, joined the company on a full-time basis. Today, the Levin father and son team endeavours with passion to continue building Ashton's reputation for creating the finest, most exquisite collection of premium cigars in the world. Davidoff is a big name in sophisticated smoking. Davidoff offers an extensive assortment of luxury handmade cigars to suit all manner of serious connoisseurs, plus an impressive array of scores from popular cigar magazines. The Davidoff selection offers a refined range in strength profiles from medium- to full-bodied, and each and every handcrafted cigar ensures an elegant experience. Davidoff Cigarillos and Primeros are well known in Europe and Malta. Each and every Davidoff cigar is unique and distinct in flavor. Yet, they all have a familiar commonality that instinctively tells you – this is clearly a Davidoff. All cigars are handcrafted by experts with a passion to deliver a level of sophistication and refinement that allows each aficionado to fill time beautifully. The tobacco has to be aged up to four years and only the finest leaves are used in a factory, exclusively dedicated to the Davidoff brand. All Davidoff cigars maintain well defined standards of quality and excellence. The tobaccos that are used in the different blends have been cultivated in accordance with the most ancient traditions, in the richest soils and ideal climatic conditions of carefully selected fields. The choicest leaves from various harvests undergo four years of aging, which imparts to Davidoff cigars their rich aroma and consistently smooth taste. All Davidoff cigars are handmade in the Dominican Republic, where for over five centuries this art has been passed on from generation to generation. In 1967, Davidoff was approached by Cubatabaco, Cuba's state tobacco monopoly after the Revolution, about creating a personal brand of cigars for his stores. The cigars were rolled in the newly established El Laguito factory in Havana, which had been established to roll Cuban President Fidel Castro's own private cigars, Cohíba. In 1968, the first productions of Davidoff cigars were released, which included the No. 1, the No. 2, and Ambassadrice (which all shared the same sizes as the early Cohiba line) and the Châteaux Series (now no longer under the Hoyo de Monterrey label, but exclusively made for the Davidoff marque). In 1991, After 23 years of cigar production in Cuba, Davidoff made a crucial strategic decision to relocate its entire production enterprise to the Dominican Republic. It was a tough decision for a company which bore the symbol of ultimate quality in the marketplace. Indeed, the name Davidoff was well known as a synonym for world supremacy and a household requisite for the upper-class. This was the right choice. The huge success of the Davidoff brand may have been instrumental in making Dominican premium cigars the number-one bestsellers worldwide. There are in the world just a few things that are known without question to be the best of their kind. A Habano, or Havana cigar, is one of them. The title is the Denominación de Origen Protegida (D.O.P), or Protected Denomination of Origin reserved for a selection of the most outstanding brands whose cigars are manufactured to the most exacting standards from tobaccos grown only in particular areas, which are also protected as denominations of origin. All Habanos are crafted Totalmente a Mano  totally by hand, using methods that were pioneered in Havana two centuries ago and remain virtually unchanged to this day. More than 500 manual tasks are performed in both the agricultural and manufacturing processes from the planting of the seeds to the Habano’s final resting place in its box. Every cigar must pass through the most stringent quality control processes established by the Regulatory Council for the Protected Denomination of Origin (D.O.P.) Habanos before they can earn the precious title of Habano. Habano cigars are filled with tobacco that comes from the Vuelta Abajo region of Cuba which has undergone an extra fermentation process. Cuban Cohiba was established in 1966 as a limited production private brand supplied exclusively to Fidel Castro and high-level officials in the Communist Party of Cuba and Cuban government. Often given as diplomatic gifts, the Cohiba brand gradually developed a "cult" status. It was first released commercially for sale to the public in 1982. The Cohiba Siglo VI has received some of the highest scores in the line from blind reviews like a 93 from Cigar Aficionado and a 90 from Blind Man's Puff. With its characteristic, uneven, shape the Toscano cigar is immediately recognisable as the original Italian cigar manufactured in Tuscany, Italy. In 1818, the Grand Duke of Tuscany, Ferdinand III, founded a tobacco factory which manufactured Toscano cigars. A bale of Kentucky tobacco leaves which had been drying in the open were caught in an unexpected downpour of rain. The wet tobacco started to ferment in the summer heat. Instead of throwing all away, it was decided that the fermented tobacco be used to produce cigars to be sold in Florence. It gained popularity amongst Italians, thereafter it became a regular production. The Toscano cigar is not a typical cigar as the Kentucky tobacco used in making it is generally a pipe tobacco. Kentucky tobacco is cultivated in various regions of Italy, such as Tuscany, Campania, Lazio, Umbria, Veneto. For the wrapper, North American Kentucky leaves are used in various Toscano cigars because of its wider width. Cigar manufacturing was located principally in Florence for almost 130 years. But in the post-war period, the “stortignaccolo” (a nickname meaning approximately “crooked cigar”) was definitively transferred from the chief city of Tuscany to the factories in Lucca and Cava de’ Tirreni. The principal factory in Lucca was located, up until June 2004, in a building that was previously a convent for Dominican nuns. From then on, production was transferred to a more modern and functional facility, in the outskirts of Lucca, in a location named Mugnano. The rollers’ technique is fundamentally important for the production of the Italian cigar; the work has remained virtually unchanged for over 200 years, and often it is an art that is passed down from mother to daughter. An 18 months’ apprenticeship is necessary to become a roller. Only after this period of time can a roller make a cigar unassisted. Toscano are strong, intense cigars. Typically, the aromas and scents released when smoked are full, intense and savoury. The varieties marketed may be marked by strength, sweetness and flavour. Traditionally, they are not smoked as a whole, but cut in the middle. They are considered dry cigars or cheroots which means they do not have to be stored in a humidor. In 1872, at the age of 21, a young man from Bremen, Germany, had a vision. He wanted to create the finest cigars in the world. This man's name was Geraldo Dannemann. Geraldo understood that to create the finest cigars in the world he required the best tobacco, and immediately began collaborating with the local farmers. This partnership continues to this day with over 200 family farms dating back generations supplementing our own 1,000-hectare Santo Antônio farm. A tradition of “seed to smoke“ creation that continues to this day. In 1890 Geraldo Dannemann was elected Mayor of São Félix. A champion for the local community, he created the first town charter and oversaw the social and economic development of the Recôncavo area. His influence is still clearly visible today thanks to the municipal buildings he created and the bridge which spans the Rio Paraguaçu river connecting São Félix to its sister town of Cachoeira. From these modest beginnings DANNEMANN has grown into an internationally renowned tobacco group. With unique tobacco plantations in the Americas and Asia, with traditional manufacturing plants worldwide. Our cigars and cigarillos are now available in over 60 countries. DANNEMANN remains privately held today and proudly retains the pioneering vision of its original founder. Launched in 1994, MOODS were the first “aromatic cigarillo” and continue to define and innovate the aromatic category today. Crafted from the finest Virginia, oriental and tropical tobaccos and rolled in a premium tobacco leaf for a distinctive, aromatic smoke that is uniquely MOODS. The ultimate expression of the craft: hand-rolled cigars produced by skilled artisans in Terra Dannemann, São Félix. Produced only with tobacco from selected crops from their own plantations, these Robustos and Coronas are as individual as they are perfect. Signed by the artist and presented in a wooden case for a smoking experience without comparison. Popular cigar formats and modern cigarillos. We offer cigars wrapped in dark, rich Mata Fina leaves as well as the house's very own exclusive Golden San Antônio tobaccos. A classic premium tobacco experience for the connoisseur who enjoys rich flavours and a balanced smoke. A unique cigarillo with a rich flavour and short smoke. Famed for its compact format and convenient smoking experience Al Capone delivers true smoking pleasure for a busy modern life. 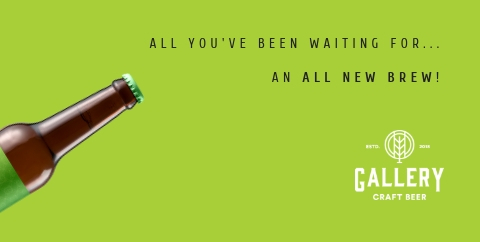 Available in a range of flavours, aromas and also a sweet tipped format. In 1903 on the 3rd of October 18 year-olded Eduardo León Jimenes founded La Aurora cigar factory in Don Pedro, Guazumal community in the province of Santiago de los Caballeros. Those first cigars were "Perfecto" format, the doble figurado that even today are produced in a very limited way, only 100 units daily by craftsman. Popular for over 100 years, this was the first cigar crafted in the Dominican Republic. Today, made in the oldest factory in the Dominican, this landmark operation, producers of some of the finest smokes on the planet. Exceptionally crafted to deliver some of the Dominicans finest cigars, La Aurora is one of the most highly respected brands in the business. 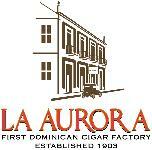 Each La Aurora cigar is teeming with smooth, rich flavors, never failing to impress. In 2005, Cigar Aficionado magazine awarded La Aurora 100 años Belicoso as the best Dominican Cigar in the world what turned this blend, made out of 100% Dominican leaves, into the highest rated tribute, not only to celebrate 100 years of excellent tobacco production in La Aurora, but to Aurora true consumers.